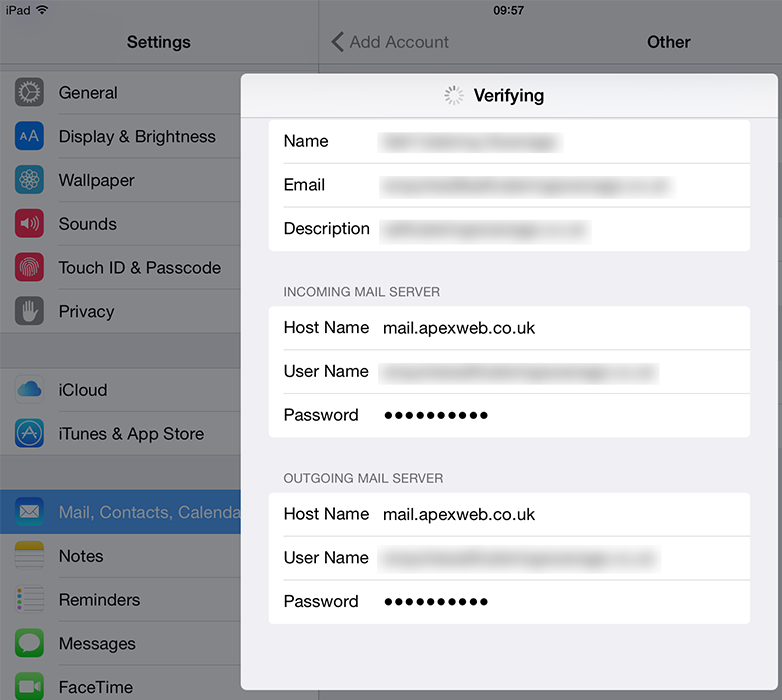 Below are instructions for adding your Apexweb hosted email account on an Apple iPhone or Apple iPad device running iOS operating system. Ensure you have an active 3G or wifi connection before adding your email account. 6. 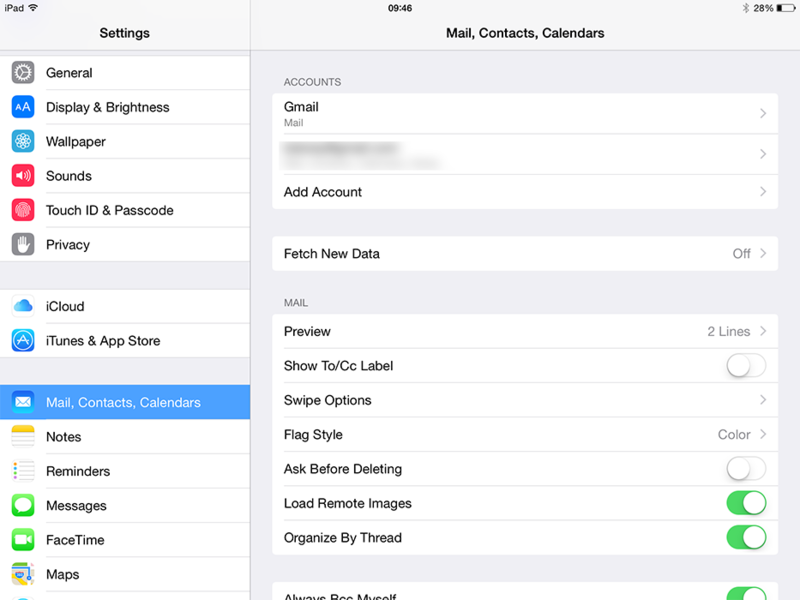 Complete the following fields, and then tap, Save. The name to display on your email. 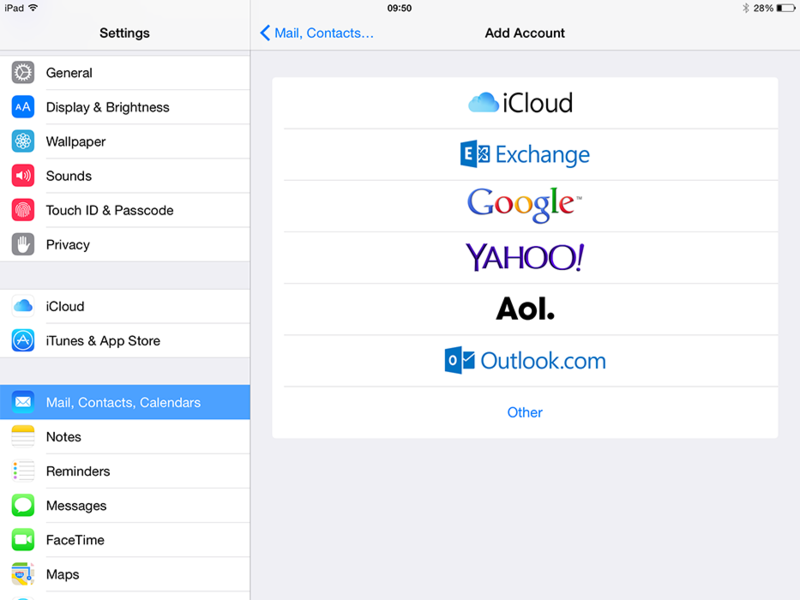 A description of the email address to display in the email account list on your iPhone. The incoming POP server as provided for your email account. 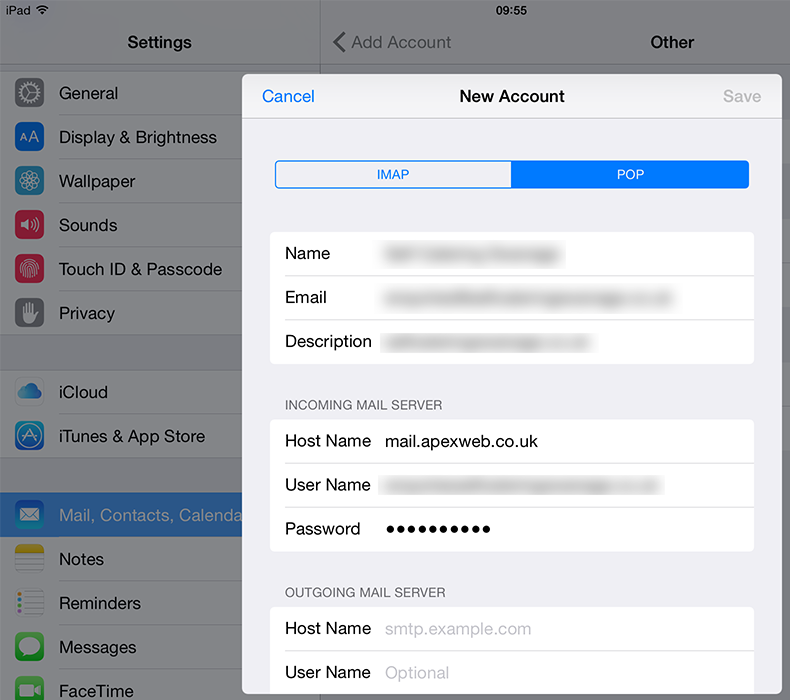 The incoming SMTP server as provided for your email account, this is the same as the incoming POP server..
13. 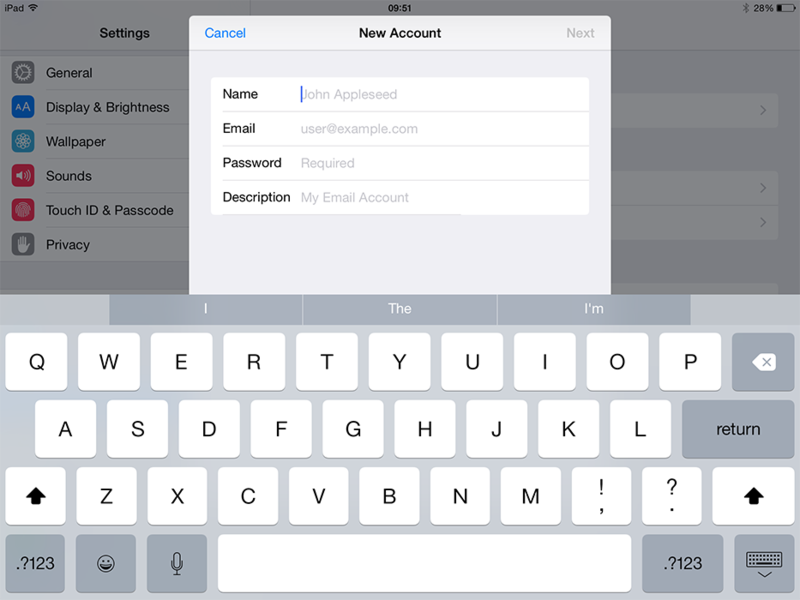 Tap Yes and the iPad will continue Verifying the account, this can take several minutes. 14. 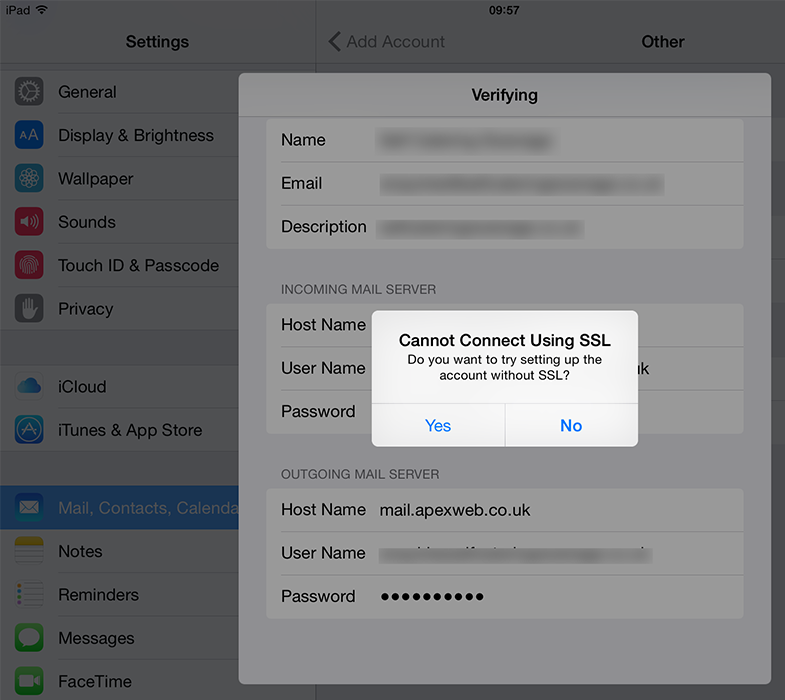 If you are prompted to connect without SSL, tap Yes. This may appear twice. 15. 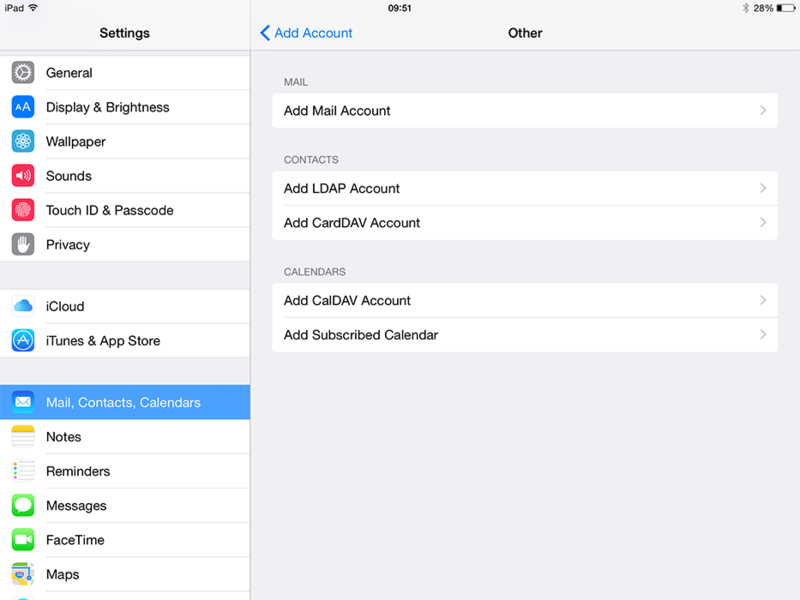 Tap Yes and the iPad will continue Verifying the account and when complete return you to the Settings screen with your new email account added to the Accounts list.